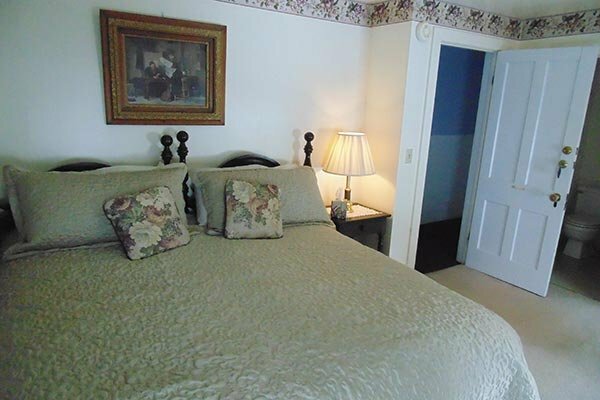 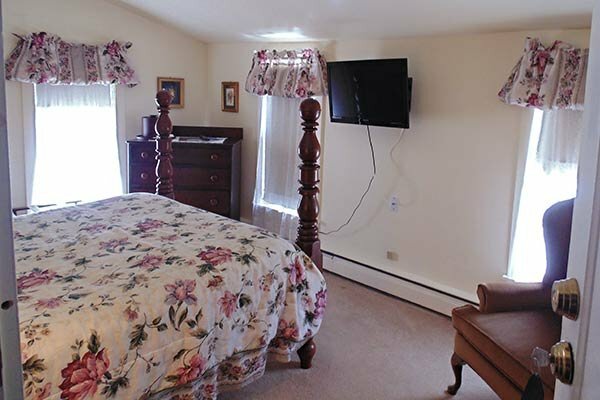 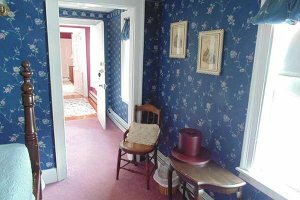 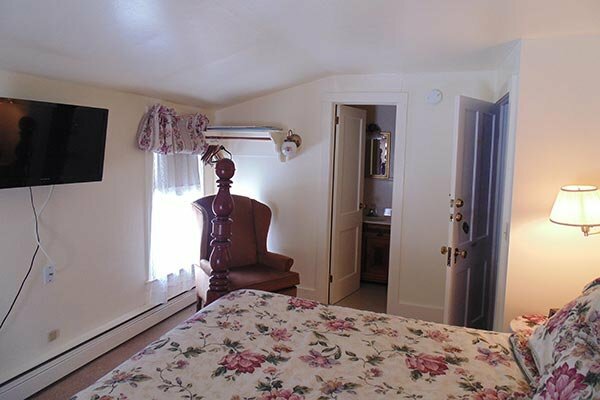 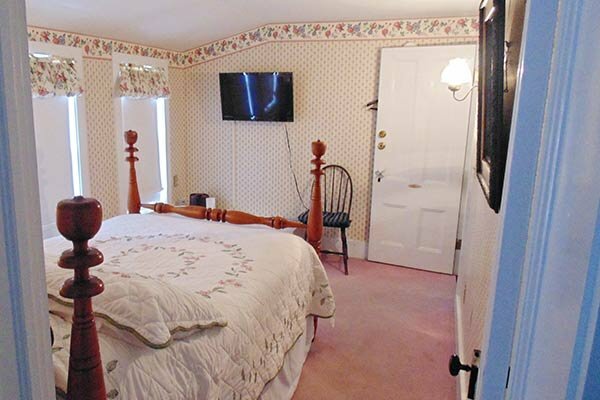 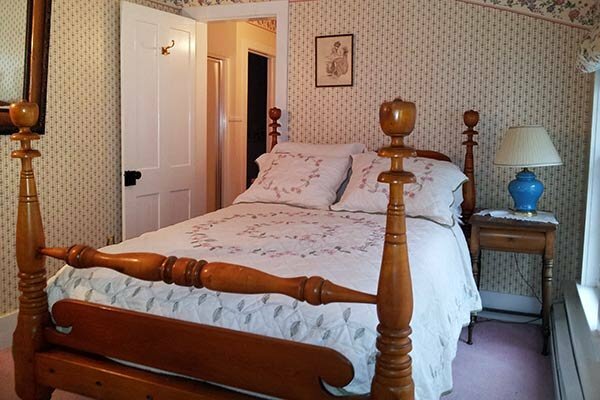 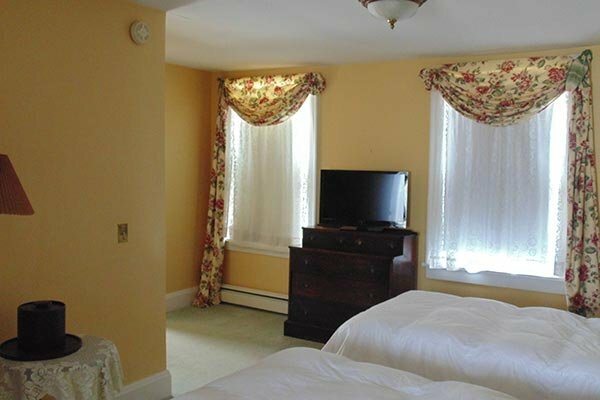 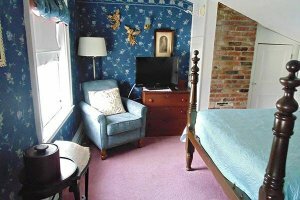 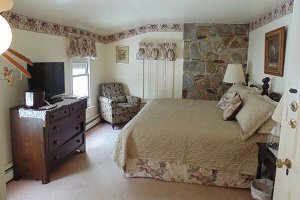 The main inn includes eight rooms, one on the ground floor, and seven on the second floor. 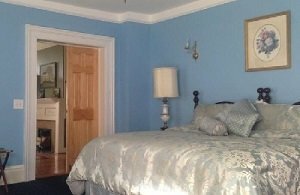 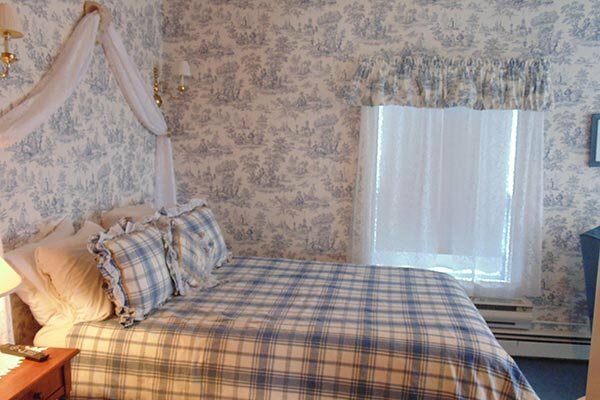 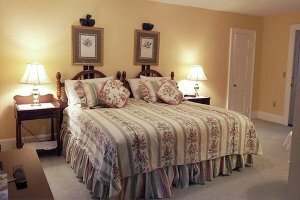 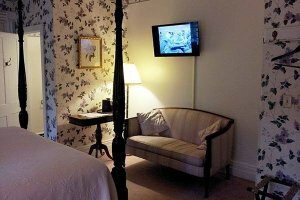 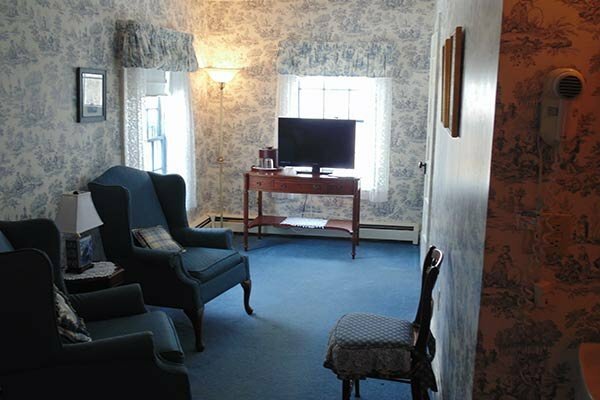 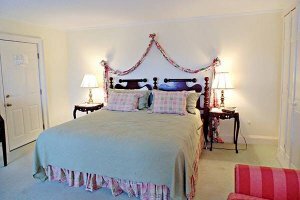 Each room is beautifully decorated, reflecting the personality and hospitality of the historic inn. 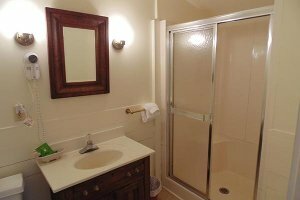 Our guests will find plenty of amenities, and we are close to the many area attractions that delight visitors who come from all over to experience the Lake Chautauqua area. We invite you to look through the photos and descriptions of our rooms, and pick one that most fits your tastes and needs. 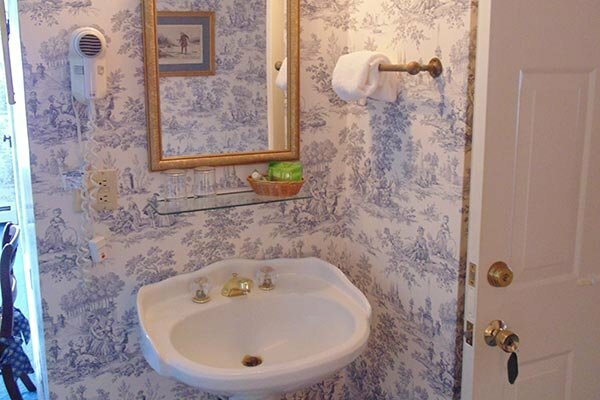 We're sure you won't be disappointed. Graceful four post bed with floriated wallpaper and fabrics in a coordinated lilac and rose pattern. Large room painted in light blue with a King-sized bed and ceiling fan. The room includes a renovated restroom featuring a walk-in glassdoor shower. 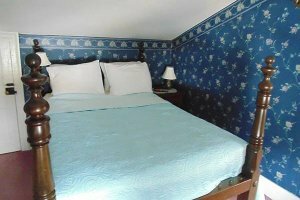 Modest small room done in deep blue and dusty rose wallpaper with a comfortable double bed. 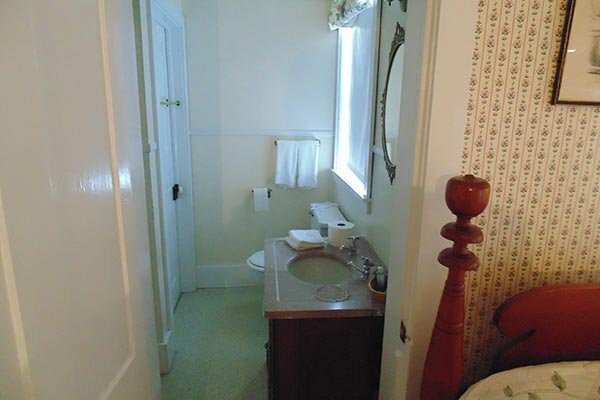 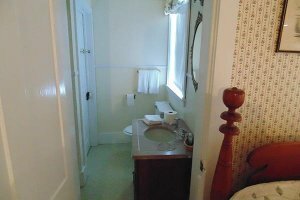 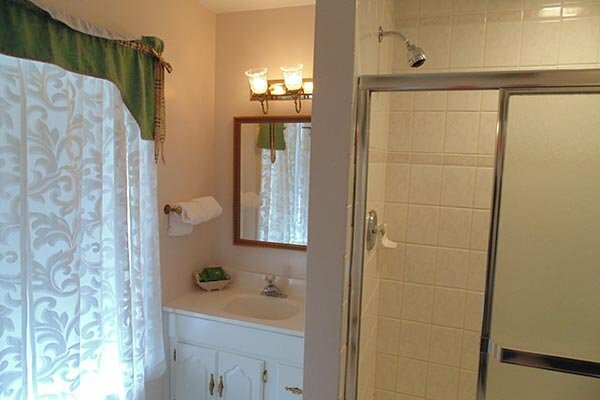 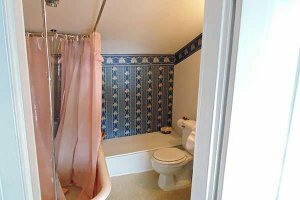 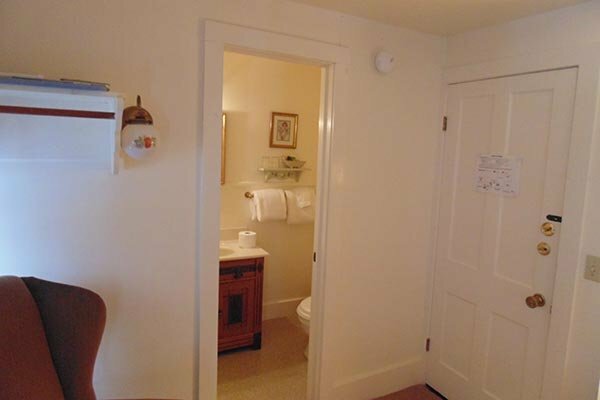 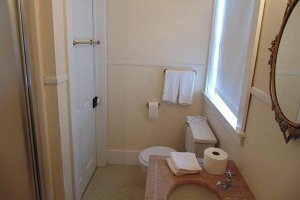 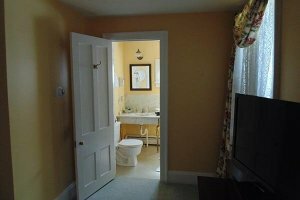 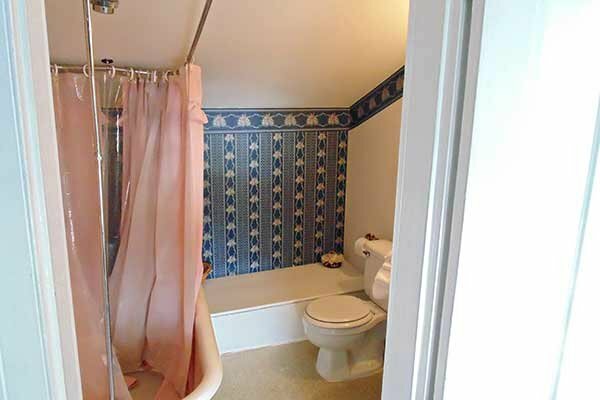 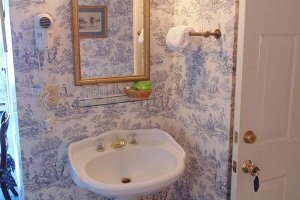 The private bathroom features an old marble sink and an old fashion claw foot tub with shower. 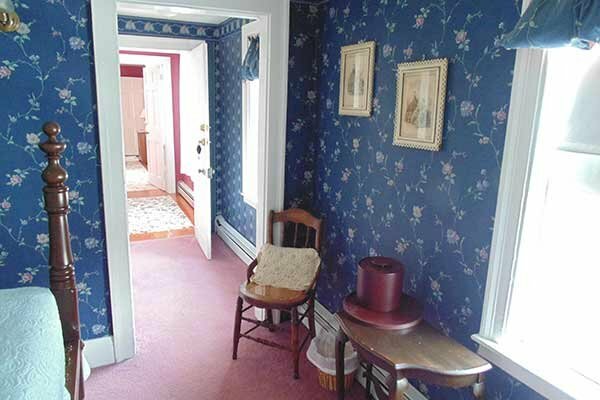 Room with humble sitting area done in pink and blue flowered wallpaper. 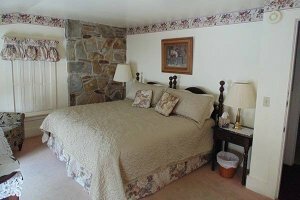 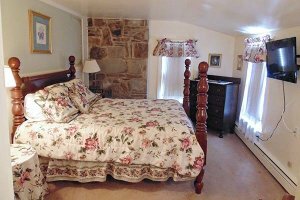 Room with partial stone wall design and Queen-sized bed in shades of cream, plum, and green. 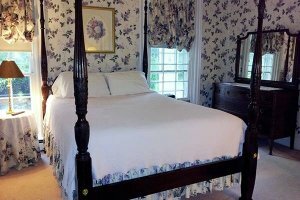 Simple room with Queen-sized bed done in cream, rose, lavender, and green stencils and includes an impeccable view of the woods. 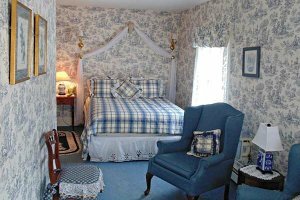 This room is reminiscent of an old English country home equipped with a King-sized bed, Queen Anne chairs, old marble sink, and a pleasant view of the woods. Elegant blue and white wallpaper with antique Queen Anne chairs. 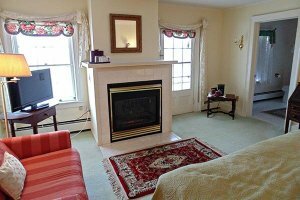 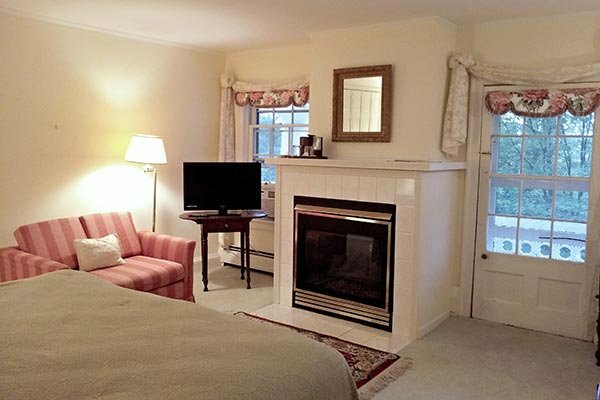 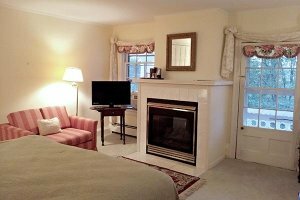 Room with cozy gas fireplace and access to private balcony that peers over the woods.